The financing for sustainable development agenda promises to bring together more actors than ever before – from businesses, governments, philanthropists, and remitting households – to address the world’s most pressing problems and achieve the Sustainable Development Goals.Yet, in spite of this promise, the financing for sustainable development gap is growing. While needs continue to increase, resources available to developing countries have been constrained and in some cases even declining, as illustrated by the recent drop in foreign direct investments. New financial instruments and interactions have yet to mobilise much-needed new resources in sufficient volumes. 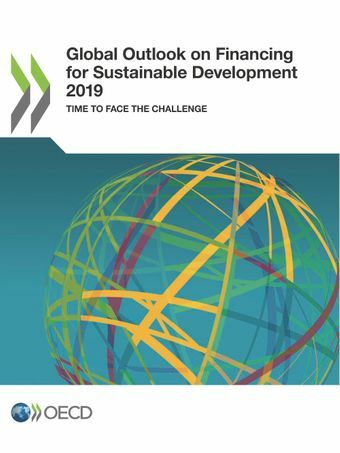 And despite significant advances, we do not yet fully understand the opportunities and risks faced by the various actors in this complex new global financing system.This report sounds a wake-up call. To fulfil the commitments of the 2030 Agenda, and lift hundreds of millions of people out of extreme poverty, the international community needs to maximise the development footprint of existing and future resources, thereby “shifting the trillions” towards the SDGs. The first in a series, this report charts a forward path for the changes required in measurement, policies, and operations to achieve these ambitious objectives. Global Outlook on Financing for Sustainable Development was launched on Monday November 12 at the Paris Peace Forum by Jorge Moreira da Silva, Director, Development Co-operation, OECD and Rémy Rioux, Chairperson, International Development Finance Club (IDFC) and CEO, Agence Française de Développement (AFD). Financing the Sustainable Development Goals (SDGs) in developing countries is a major challenge. Three years after the Addis Ababa Action Agenda (AAAA) in 2015 called on all actors –public and private-- to coordinate better and mobilise more financial resources, the outlook is not encouraging: external finance --which many developing countries continue to depend on heavily-- has been going down, largely due to the drop in private flows, and coordination remains poor. The trend must be reversed: financing the sustainable development of poor countries is an investment in the well-being of all nations. OECD countries must face the challenge: urgent and bold action is needed to implement the AAAA with their partners and fulfil the promise of Agenda 2030 at home and abroad. Mobilising more finance for developing countries is not enough; the quality – i.e. the “sustainable development footprint”– of all finance must be enhanced. 3) better co-ordination of actors to connect the supply and demand for financing for sustainable development in developing countries.